I've never been one to join in on the hate-train that seems to follow director Brett Ratner around every turn he takes with each film (I liked Tower Heist well enough and X3 was never as bad as people claimed). That said, I expected a certain something from his Hercules epic starring Dwayne "The Rock" Johnson as the titular Greek God. The stills Johnson released via his twitter and other social media outlets throughout production are not justified by this first trailer as it looks much more in the vein of something like The Scorpion King than the Chris Nolan version of mythology (which is kind of what I anticipated). The over-abundance of CGI is never a good sign and it looks especially in bad judgement here given that every other shot is Hercules facing another computer generated monster while voiceover builds up to what may as well be just another reason for people to make fun of and doubt the credibility of this movie as a good or even fun product. I'd like to believe Ratner has done something interesting given the source material he is drawing from, but as far as first impressions go, this is not a promising one. All of that being said, The Rock has proved himself a valuable commodity over the past few years being able to breathe new life into dwindling franchises (Fast & Furious, Journey to..., GI Joe) and starring in interesting flicks like Pain & Gain, Snitch and Faster none of which ever seemed to get the credit they were due for what they represented, but all of which I enjoyed more than I probably should have. The point being he could very well bring something unexpected to this new telling of a story we've all heard, read and seen before so I go forward with a sense of cautious optimism, though I won't be surprised if I'm let down. 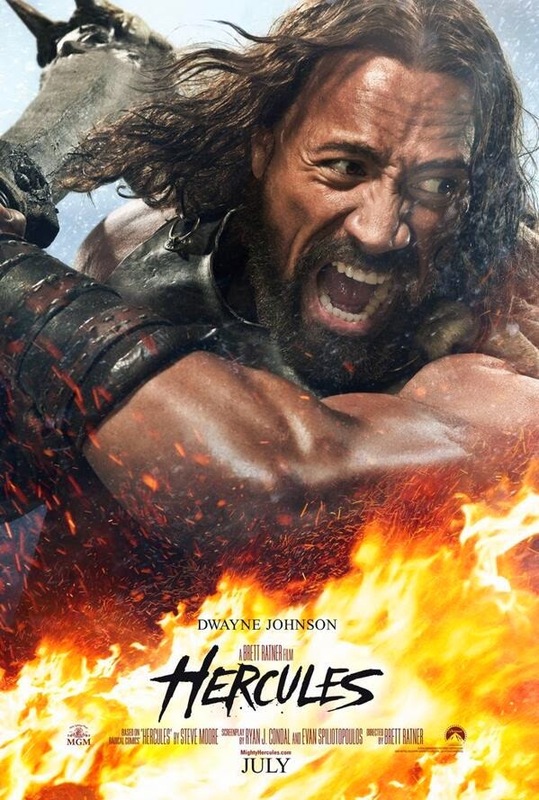 Hercules also stars John Hurt, Ian McShane, Joseph Fiennes, Peter Mullan, Rufus Sewell, Robert Maillet, Irina Shayk and opens in 3D on July 25th.